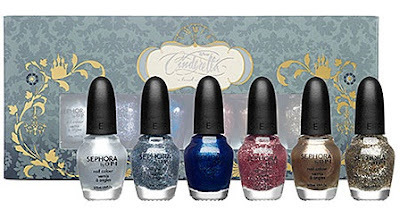 A few months ago I purchased the A Brush With Fate Nail Polish Set that was part of Sephora's Disney Cinderella Collection. Of course, the last few months have been crazy busy with the holidays so I am just now getting around to trying them out. 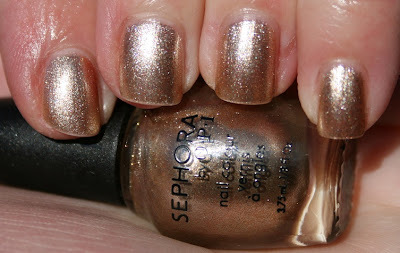 I have to say I am pretty impressed with this shade- the pic above is on DAY 5! I honestly think I could have worn it for a few more days before seeing any major tip wear or chipping, but my ADD kicked in and I had to do a new mani.